The Blood and Sand are currently two points clear of the bottom three whilst Moseley will arrive at Volac Park four points above the relegation places with just two matches in the season remaining. Bottom of the table Esher are seven points adrift as things stand and their fate could be sealed if they fail to get their desired result against Chinnor this weekend. Fellow strugglers Loughborough Students and Caldy secured potentially crucial wins last Saturday and both clubs are now just two points shy of safety ahead of their respective fixtures against Plymouth Albion and Rosslyn Park. At the summit, the title race continues as table toppers Ampthill and District host Sale FC while second-placed Old Elthamians visit Bishop’s Stortford. With a five-point lead at the summit, the A’s know they can secure promotion to the Championship if they better OEs’ result in Round 29. Elsewhere this weekend, Blackheath entertain Rotherham Titans and Darlington Mowden Park go to Cinderford. At this time of the season when you are chasing down a league title, it is all about getting the job done. Whilst National One table toppers Ampthill and District weren’t at their best against Birmingham Moseley in Round 28, the A’s managed to claim the bonus-point victory in the Midlands and now the Bedfordshire outfit sit five points clear at the summit with just two matches remaining. Ampthill can be crowned champions this weekend if they can better second-placed Old Elthamians’ result, but all Mark Lavery and Paul Turner’s side will be focused on is their home clash with Sale FC. The A’s will be targeting a 12th win on the spin at Dillingham Park while the visitors can enjoy their final two fixtures of their maiden National One campaign. Last week’s excellent victory over Plymouth Albion secured Sale’s place in the third tier for another season and Jonathan Keep’s men will now be keen to end a very successful term in a positive manner. Similarly to Ampthill, Old Elthamians’ victory in Round 28 was far from pretty but Gavin Lach’s side left Cinderford with the desired result to ensure this enthralling title race continues. Kieran Moffat’s try two minutes from time earnt a win for OEs and although they failed to clinch a bonus-point, they are just five points behind Ampthill as they prepare to take on Bishop’s Stortford this weekend. However, this trip to Bishop’s Stortford will not be straightforward for OEs. Prior to last week, the hosts had won nine of their last 10 matches before falling to their first loss for over a month against Rotherham Titans. It wasn’t a clean-cut performance from Andy Long’s men but after such an impressive second half of the season, the men from Silver Leys could cause problems for a quality OEs outfit. It will take something extremely dramatic for Rosslyn Park to gain promotion to the Championship this term, but their gritty display against Cambridge last week just highlighted the class of Kieran Power’s side. They had to come through a tough battle at the Rock to return to winning ways following their loss to Ampthill in Round 27 and Park now sit nine points off the top as things stand. The third-placed side will just be focusing on finishing the season on the front foot, but this weekend, they travel to Caldy who are still batting for their National One survival. The Wirral outfit gave their hopes of avoiding relegation a major boost in Round 28 as they secured an excellent away victory over Darlington Mowden Park and now the men from Paton Field sit just two points from safety. Caldy are not giving up without a fight and another positive result from their final home game of the season could prove pivotal. At certain points throughout this brilliant National One season, Blackheath and Rotherham Titans have been in the promotion race, but as the campaign draws to a conclusion, another term in the third tier awaits both sides in 2019/20. Nevertheless, they have had strong years and Blackheath will be keen to finish in a positive fashion and build on last week’s away victory at Chinnor, which was inspired by a Harry Fry hat-trick. ‘Club’ cannot finish lower than fourth place this term whilst Rotherham travel to Well Hall looking to nail down fifth spot. Joe Barker’s side have had a roller coaster season in terms of results after relegation from the Championship and last week’s frantic win over Bishop’s Stortford highlighted that. The head coach was delighted with the way his side responded to their defeat against Cinderford in Round 27 and now the Titans will be aiming to end this season with two away victories. It has been a season of two halves for Plymouth Albion, but with two matches remaining, Kieran Hallett’s side will be concentrating on finishing as high as possible. After such a slow start to the campaign, ending the term in the top six would be an excellent achievement and Albion will be itching to put on a show at Brickfields after losing against Sale FC last time out. For those who couldn’t make it last Saturday because they went home for the Easter break, here are your Nat 1 trylights from the match against @esherrugby?? At home, Plymouth are on a seven-match winning run but in Round 28, they welcome a Loughborough Students side who will be up for the fight on the south coast. The Midlands club certainly were ready for battle last weekend as they claimed a victory over rivals Esher to strengthen their survival bid. The Students are just two points shy of safety and with league leaders Ampthill to come in Round 30, a positive outcome in Plymouth may well be key for Loughborough. Darlington Mowden Park will be eyeing up a top half finish this season so last weekend’s home defeat against a struggling Caldy side would have really frustrated everyone associated with the club. Danny Brown’s men were second best in Round 28, but after a campaign of highs and lows, DMP will have their sights set on the top eight. Considering they were languishing towards the bottom three earlier in the term, it would be a great way for the North-East club to end the season and their hosts, Cinderford, will be targeting the same goal. Paul Morris’ side have enjoyed their return to National One and heading into this weekend, they are just three points behind DMP. Last Saturday’s performance against title chasing OEs was encouraging for the Gloucestershire outfit and a victory at Dockham Road in Round 29 would also put smiles on the Foresters’ faces. They may have fallen to a home defeat against Blackheath last time out, but there were plenty of positives for Chinnor to take as they look to end their debut campaign in National One on the front foot. A superb first half of the season from Matt Williams’ side saw them battling for promotion at one stage and in truth, it was their performance before the turn of year which has enabled them to secure their place in the third tier for another season. That might sound slightly harsh, but since Christmas, Chinnor will be disappointed. 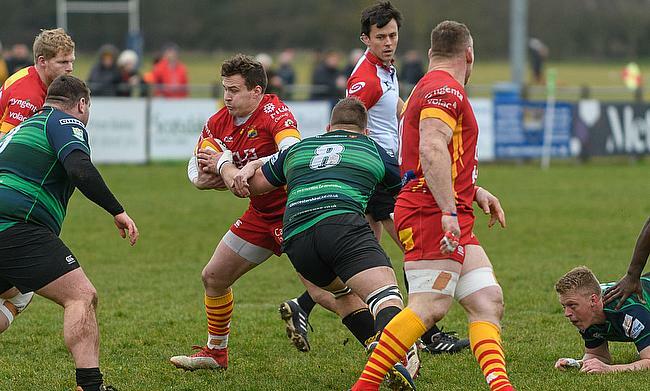 They head into Round 29 having won just three of their last 12 matches but their eagerness for a victory may not be as strong as Esher’s burning desire for a win on Saturday. The Surrey-based side saw their survival ambitions suffer a huge setback in Round 28 as they lost to rivals Loughborough Students and Tom Williams’ men are now seven points from safety. They must, at the very least, match Cambridge’s result to stand any chance of avoiding relegation this weekend so their first away win since December could be decisive. What a dramatic weekend it could prove to be at Volac Park. There are a few different scenarios that could occur as both Cambridge and Birmingham Moseley look to confirm their survival in National One. For Moseley, they will be targeting a return to winning ways after back to back defeats against Plymouth Albion and Old Elthamians and if they can achieve a victory in Round 29, it could see them over the line. Richard Protherough’s men are currently four points clear of the drop whilst Cambridge are only two points above the relegation zone. A spirited performance in defeat against Rosslyn Park last time out would have certainly encouraged Richie Williams and the Blood & Sand’s Director of Rugby is calling for some strong home support this weekend as they aim to secure a crucial result. Cambridge clinched an excellent 29-15 win over Darlington Mowden Park in their last game on their own turf and a similar outcome on Saturday may well keep them in National One for a fourth consecutive season.